This post is sponsored by Casper. Thank you for supporting the brands who support this blog! Like I wrote about in this post, we recently updated our guest room just in time for holiday guests! I wanted to share a little more about the mattress I choose, so I thought it would be fun to create a part two blog post on our guest room. 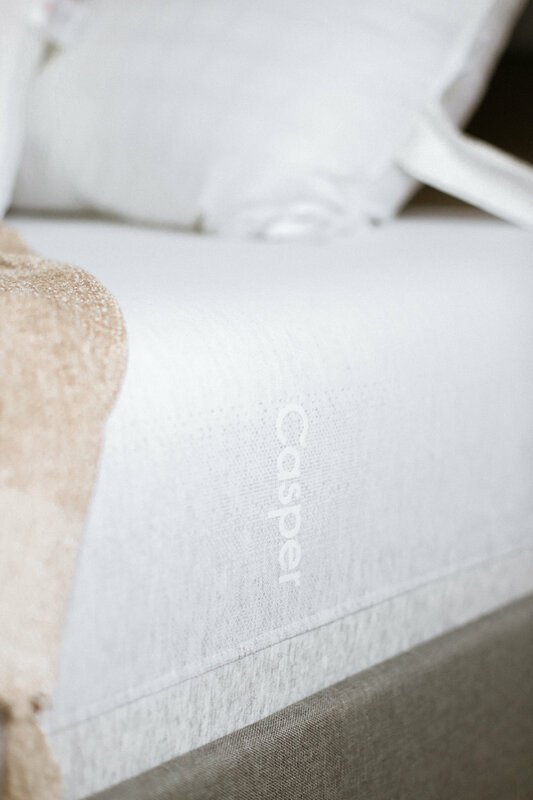 I decided to go with the new Casper Wave King mattress, and it is hands-down the best mattress I have ever owned. This mattress has five layers of premium, breathable foam and actively aligns your body at 33 key points. It is cooling, supportive, and designed to help you have interrupted sleep through the night. Being a single mom, I need all the sleep that I can get! I’ve been sleeping so much better since switching to Casper. Keep scrolling for more photos of the mattress and our room!